The goal of Aurora Public Schools in Aurora, Colorado — with 63 sites and over 42,000 students — is to see that “every child shapes a successful future.” Michael Ward, custodial coordinator and trainer, has spent more than two decades shaping successful cleaning. • Building awareness of their importance to the health and safety of schools. • Maximizing cleaning performance and productivity through tools and training. • Adopting innovation for healthy results. 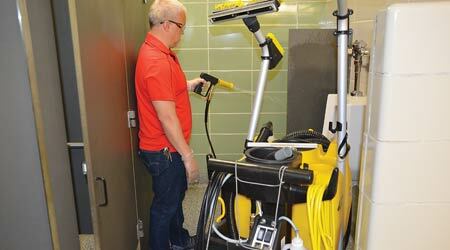 In his quest to improve the indoor environment, Ward tested Kaivac No-Touch Cleaning machines 20 years ago while employed as manager of custodial operations for Westerville City Schools in Ohio. He was so impressed, he bought four machines. He also created a restroom specialist position to optimize focus, outcomes and efficiency — yielding a division of labor so restrooms received better cleaning while other staff concentrated on classrooms. By implementing the equipment at Aurora Public Schools, the specialist approach has decreased labor by 15 percent, chemical use by 10 percent and raised site inspection scores 2 percent. 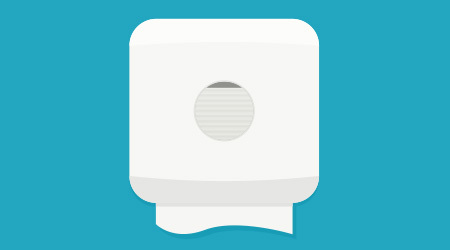 “There also have been no odor complaints in restrooms or locker rooms since we began using the Kaivac machine at two of our high schools,” Ward noted. No-Touch Cleaning was also the only method that removed the urine and related odor from brick and mortar in restrooms at Aurora Public School elementary sites. Adding to the No-Touch Cleaning machines, Aurora Public Schools recently bought three Kaivac OmniFlex units to replace autoscrubbers on VCT in the cafeteria, gymnasium and art room. “OmniFlex machines are typically $4,000 less than the traditional autoscrubber and do a comparable job,” said Ward. He found that the new equipment was great for applying gym floor finish using a T-Bar method and dispensing floor stripper. It also worked well as a wet/dry vacuum. “Kaivac is an innovation leader. While many companies provide great equipment that helps custodians do their job more efficiently, Kaivac is continuously improving their equipment and designing state-of-the-art tools. We plan to grow the Kaivac program at all of our high schools and, eventually, our middle schools in the coming years,” said Ward. For Ward, this is all part of an integrated strategy to help students shape a successful future by stepping up the cleaning for the healthiest environment possible.